This small, meandering river can get low in the summer time, but when the water level is high it’s a great way to see DuPage County. The West Branch of the DuPage River is probably known best as the centerpiece of Naperville’s Riverwalk, which encompasses both banks of the river as it flows through downtown Naperville. The Riverwalk is indeed a beautiful urban park, featuring a covered bridge, public art, fountains, paved pathways and Centennial Beach, the former quarry turned into an impressive swimming facility. It’s the perfect place to walk off a meal from one of Naperville’s restaurants. It’s also a great place to paddle—which makes one wish there was an easier way to do so. But while paddling along the Riverwalk takes a little more work (more on that later), much of the rest of the Western Branch of the DuPage River is an easy and enjoyable trip that includes many of the forest preserves in Western DuPage County. The DuPage River flows from north to south, running through DuPage and Will counties before reaching the Des Plaines River in Channon, Illinois. 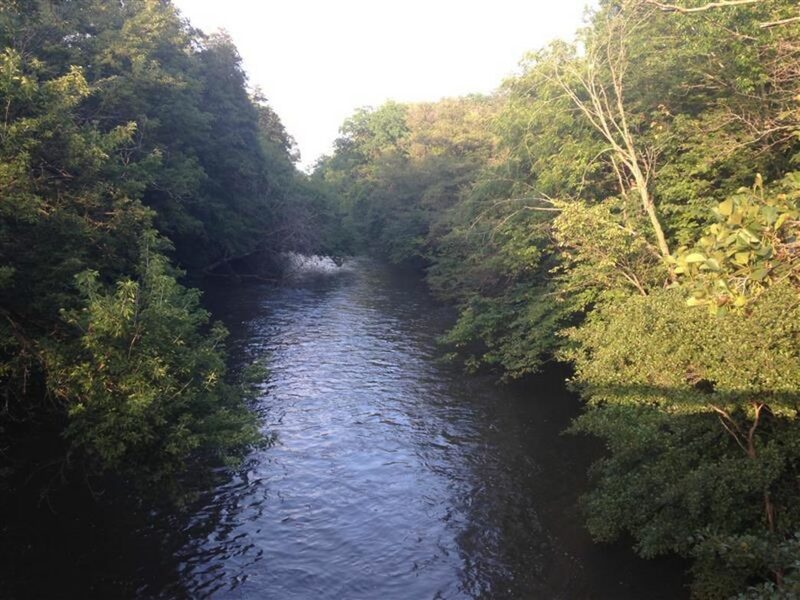 The East Branch of the river is channelized and used more for drainage than recreation, but the West Branch has been incorporated into the forest preserve system, with several put-in locations that allow for an easy trip. The route from Lion’s Park to McDowell Grove is tree-lined with plenty of wildlife to see, and appropriate for any level of paddler. After a heavy rain the current can become strong, making it more difficult to paddle upstream. But most of the time, paddlers can travel to and from the some drop-in point without too much trouble. But a point-to-point route is certainly easier (at least when it comes to paddling) and all of the above forest preserves have plenty of parking. Paddlers can continue down the river from McDowell Grove Forest Preserve to Pioneer Park just south of downtown Naperville. It’s a beautiful trip, but requires a major portage around Fawell Dam. You have to carry your boat several hundred feet up a steady incline, around the dam and then several hundred feet down the other side back to the river. 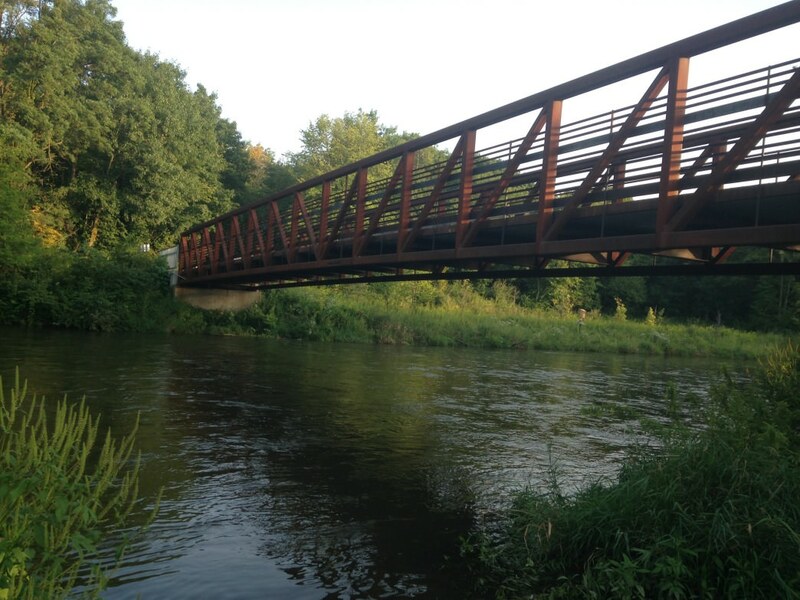 At most points, the DuPage River isn’t much more than a large stream, and often during the summer the water level can make it difficult to navigate sections, even in a kayak. But when the water level is high enough—and it is during much of the year—the river offers a natural setting that may surprise you in the suburbs. The northernmost put-in is at Lion’s Park in Winfield, Ill., (on Beecher Avenue two blocks west of Winfield Road). From there, the river flows to the West DuPage Woods Forest Preserve, and on to the Blackwell Forest Preserve, which has a paddling drop-in/take out on Mack Road next to the dog park. Two miles further down the river is Warrenville Grove Forest Preserve, with another entry/exit point. And two miles beyond that is McDowell Grove Forest Preserve, offering paddlers another point of entry/exit. The other option for paddling to the Riverwalk is to drop-in at Pioneer Park, which is about two miles south of downtown Naperville, and padding north. Or save downtown Naperville for dinner and go south to exit at either Weigard Park or Knoch Knolls Park. Whichever way you go, you’ll be see plenty of wildlife, including great blue heron which next in the area.